My bitcoin journey began on 9th February, 2011, when I listened to episode 287 of one of my favorite podcasts, “Security Now”. Steve Gibson spent 45 minutes explaining in detail this crazy new invention called bitcoin, and he was in awe of it. I was, too. Some time in the spring 2013, I got asked by staff from the US Senate Homeland Security Committee to come in and talk about bitcoin. Thomson Reuters was partnering with the International Center for Missing and Exploited Children to put on a major one-day conference in DC for technologists, policymakers and law enforcement to discuss the “virtual economy” (by which they meant bitcoin and Tor). During the hearing, there was a government panel that included FinCEN, the Secret Service and the DoJ, and an experts panel that included me, Patrick, Ernie from ICMEC and Jeremy Allaire of Circle – a startup that had just been launched to much fanfare the previous month. 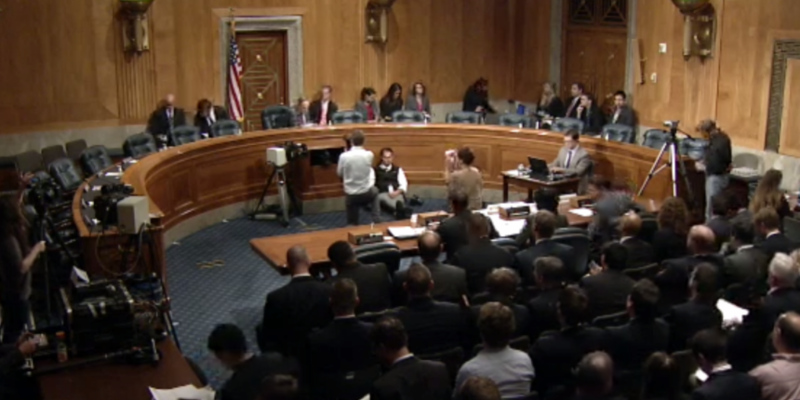 The next day there was another hearing on bitcoin by the Senate Banking Committee. When they had heard that the Homeland Security Committee had scheduled a hearing, they had scurried to schedule one of their own to make sure they, too, were claiming jurisdiction.